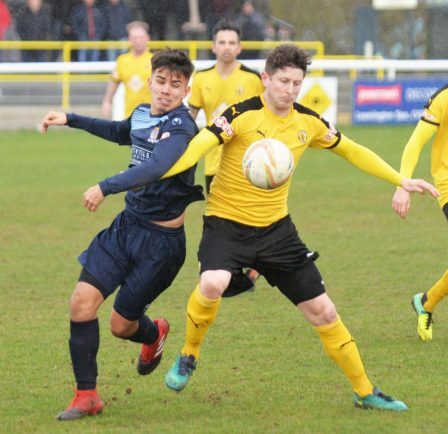 FOOTBALL: BRAKES maintained their recent upturn in form by negotiating a tricky 90 minutes against a St Neots side battling to keep themselves above the relegation trapdoor, reports Paul Edwards. 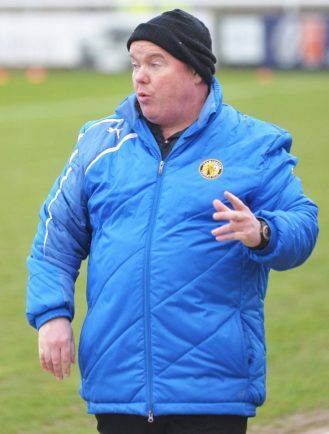 The breakthrough was not achieved until six minutes into the second half when Jack Edwards thumped home his ninth goal of the season, and a long overdue goal for substitute Richard Gregory made the closing stages more comfortable. 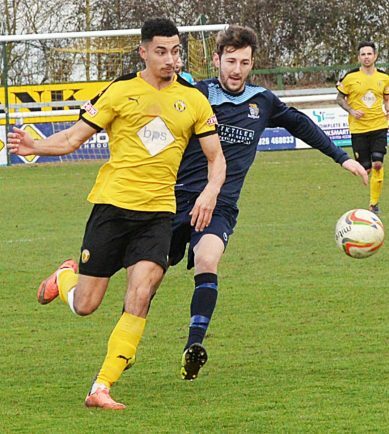 Leamington started like train and were fully on the front foot in the opening 20 minutes without making any impression on the Saints goal. 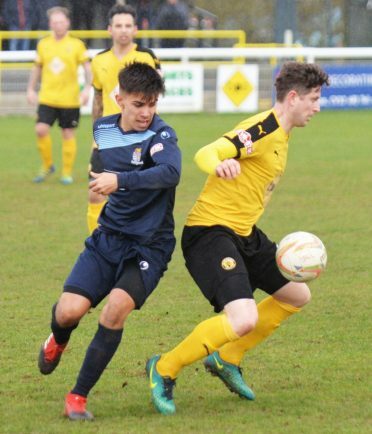 There was momentary disruption when Joe Magunda, who has been outstanding in recent games, was forced off with a groin with a little over twenty minutes played, but with James Mace ready to slot back into his central defensive role after suspension it was only going to be minimal. 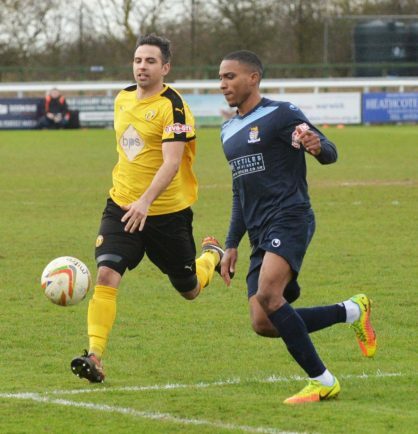 Obeng exchanged passes with the impressive Callum Gittings for a shot that was scrambled away by the visiting defence, while at the other St Neots were visibly growing in confidence however after a shaky opening, and forced several corners without testing Tony Breeden. Obeng looked to have a great chance to score as he got a clear run at goal down the right, but he got his angles all wrong and rolled his shot well wide. 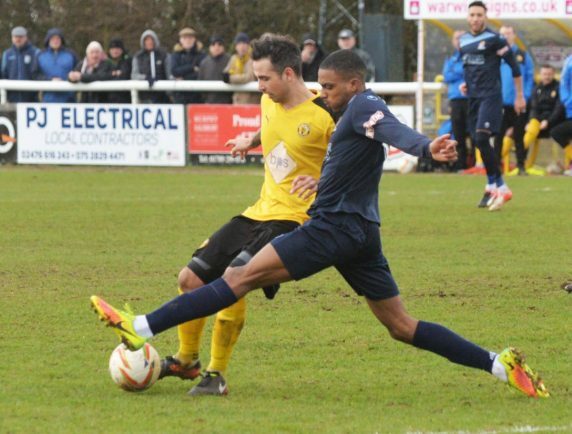 Jonny Butler ballooned a shot high and wide for St Neots as they continued to frustrate the vocal home crowd, but they were unable to take advantage of the numerous dead ball situations they engineered for themselves. 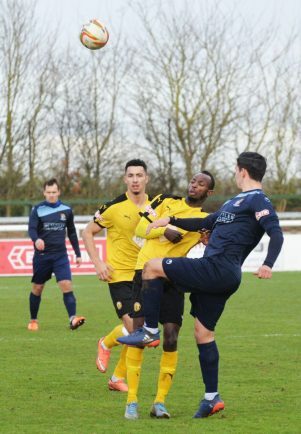 The opener arrived six minutes into the second half but prior to this a defensive clearance almost put Obeng in on goal again, Archer was alert however to clear the impending danger. Butler headed just wide for St Neots at the other end before a fine move just outside the penalty area on the left carved out the all important first goal. Great work between Gittings, Jordan Goddard and Connor Gudger saw the ex Kidderminster Harriers man thread a pass for Gudger to run onto, the wing back skipping past Jacob Partridge before lifting a perfect ball into the centre for Edwards to thump home. Obeng and Gittings then somehow had close range shots blocked by good saves from Archer, though the angle was tight, while Gittings looked to be in with a good chance to double the lead only for Tom Wood to somehow get a block in, the ball incredibly ended up in the hands of Archer. Gregory was introduced just past the hour, and instantly made an impact by crashing in a fine strike on the half turn with his first touch of the ball just 14 seconds after stepping onto the pitch. 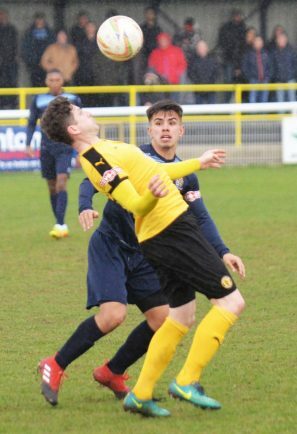 This enabled Leamington to see out the game confidently, and they can now turn their attention to Tuesday evening’s rearranged fixture against Kettering Town. 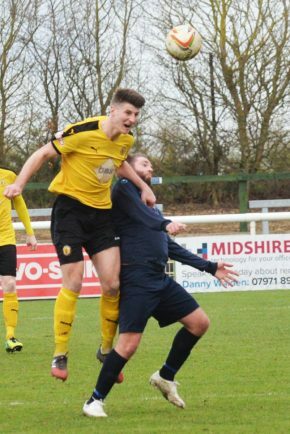 Leamington: T.Breeden ©, R.Taundry, C.Gudger, D.Pond, J.Hood, J.Magunda (J.Mace 24), C.Baker-Richardson, J.Goddard (C.Powell 78), A.Obeng (R.Gregory 64), J.Edwards, C.Gittings. 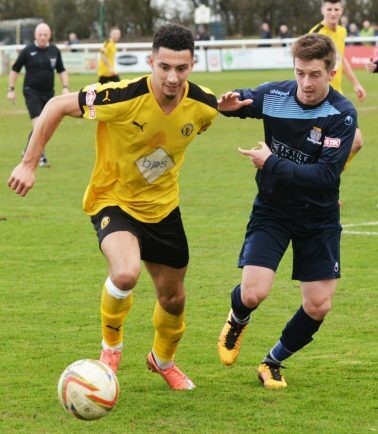 Subs not used – R.Thompson-Brown, B.George.